Many guitarists are reluctant to buy cheap tube amps because they assume, based on wattage alone, they lack power. However, because of the way in which tube amps handle distortion caused by clipping, much of that distortion is simply heard as extra volume and "warmth". In other words, tube amps use watts more economically than solid state amps. So even as little as 15 watts can be enough to sit comfortably with a drummer. The below picks range from studio/home combos to more powerful tube amps suitable for the small stage. If you're looking for even more power, take a look at the tube heads section. This top 5 is ordered based on wattage, starting with the lowest on the left. Best for Guitarists who only need a low powered amp for recording and home practice with enough gain for modern rock and metal. Guitarists who want basic setup for home recording and practice with vintage tones. Guitarists who want basic setup fit for studio recording and practice and mostly clean playing. Guitarists who want rich customisable effects and enough power for small gigs with versatile tone. Guitarists who want a loud enough amp for small-mid size gigs with especially strong clean tones. Defining Features Reverb. Dual channel. Emulated line out. Aux input. Basic operation. Output level selector (4, 1 or 1/4 watt). Basic operation. Onboard effects. FUSE software via USB. 15 watts. Footswitchable. Powerful: 22 watts through 12 inch speaker. Footswitchable. FX loop. 3 band EQ. Sometimes a single watt is all you need, and with tube amps such as the HT-1R, that watt goes a long way. 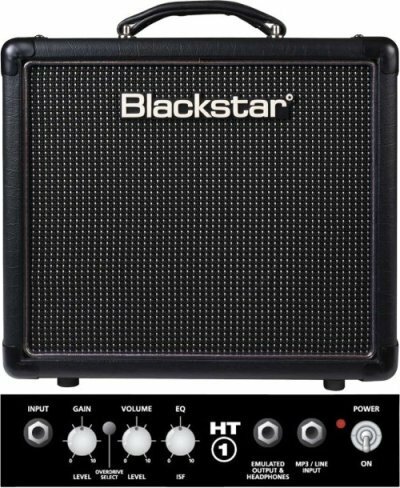 You'll be amazed at the tonal depth this baby Blackstar delivers, and how comfortably it can handle modern, high gain rock and metal. Guitarists who like to vary their tone between rhythm and lead will find the second overdrive channel a much welcome bonus, giving the gain an instant boost for extra screaming sustain. There's also the addition of on board reverb - a feature missing from many low watt combos. You won't get much volume out of the pure clean tones, but then this amp is more suited to crunch and overdriven sounds. Using your guitar's volume is a must for finding your clean sweet spot. The emulated output allows you to capture that tube warmth through your chosen recording device. While the HT-1R will likely be much louder than you anticipated, it will struggle to sit along side a live drummer. Home practice and recording is what it was built for, allowing you to push those tubes without shaking the walls. Saying that, there is the option of connecting an external speaker, which can help to "open up" the sound. If you're into rock and metal, this little combo is a great way to taste that fiery tube tone for under $350. 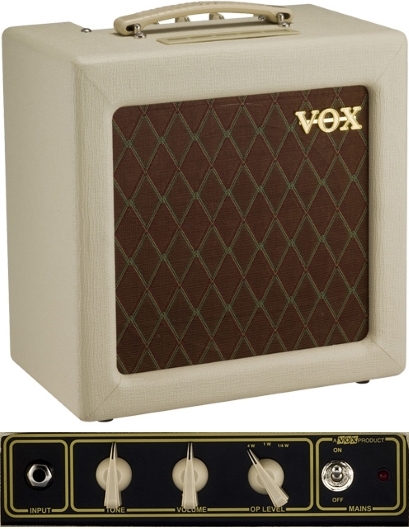 A much simpler, single channel setup compared to the Blackstar, with that traditional Vox garage and classic rock crunch and shimmering cleans. The 10 inch speaker gives the modest 4 watt output plenty of room to articulate each note with crystal clarity. Great for big, open chords and jangly rhythms. Users generally use the AC4TV as a base for their pedals. If you want to take this thing into higher gain classic and hard rock territory, a distortion pedal is a must. But what you're paying for is that unmistakably warm Vox clarity that will sit gracefully under any pedal you throw at it. There's a speaker output option which some have found gives the AC4TV enough presence for certain live situations, although you will most likely need to mic up on stage. Like the Blackstar, it's more suited to the home/studio setting. Along with the volume (which doubles as a gain) and single EQ, there's an output control allowing you to scale back to 1 and even 1/4 watt output. This is useful if you want to push the tubes to their fullest potential in quieter playing situations. 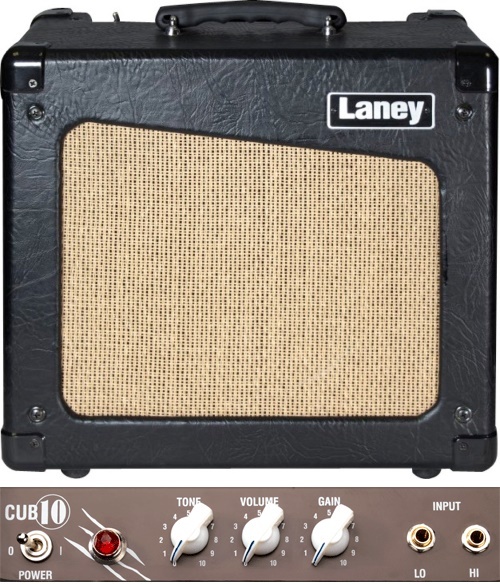 Moving up the wattage scale, the CUB10 packs 10 watts through a 10 inch speaker, with the usual option for connected to a larger external cab. Closest, in terms of spec and tone, to the Vox, this little Laney places more emphasis on pristine cleans, with a lot more head room than the AC4TV. Cleans are especially bright, almost Fender-esque, and respond well to pick attack. Increasing the gain gives you a smooth, subtle break up fray to the edges, and it becomes almost fuzzy when you push the gain passed 3 o'clock. So there's even more need for pedals with the CUB10 if you want a more solid, hard rock sound. But if you're just looking for those rich, vibrant tube cleans, the Laney undoubtedly delivers better than the other two low-watters on this page. Simple, but does the job significantly cheaper than other tube amps in its output range. 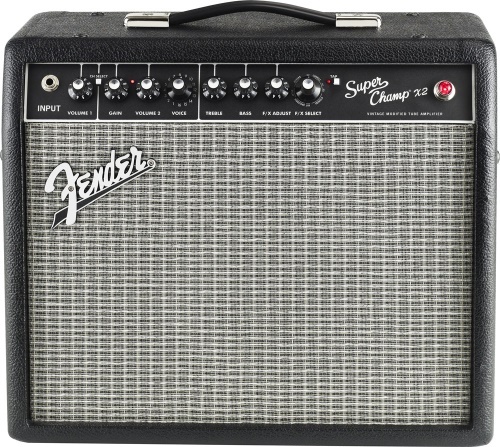 Just as popular as its head version, the Super Champ X2 combo combines the convenience of on board amp models and effects with rich tube driven tone. Definitely the most versatile amp of the five featured here. Unlike the previous three combos, the X2 packs enough power for live practice and the small stage, and with two footswitchable channels, it's clearly designed for live playing. But it also offers great recording capabilities through its USB-out and FUSE software. One of the best features of this amp is the voice function, offering 16 amp models on the second channel, including Tweed, British, Deluxe, Metal and Jazzmaster. A good starting point for exploring the amp's breadth of tonal possibilities. There are also five main effects to play with - vibratone, delay, reverb, chorus and tremelo, with variations on each. There's an independent volume for each channel, meaning you can seriously boost your lead section with a stomp of the footswitch. The FUSE software isn't just for recording from amp to device. It also allows you to modify the amp voicing and effects presets, whether through your own tweaking or downloading from the FUSE community. Overall, great live and studio Fender tone with a modern, incredibly versatile twist for under 400 bucks. 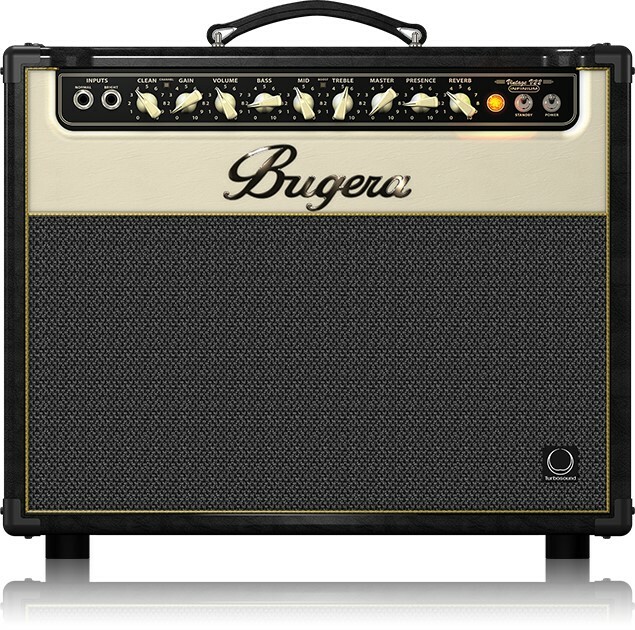 The Bugera V55 head proved a huge hit with guitarists looking for classic tube tone on a budget. Their 22 watt combo, the loudest of these five picks, offers a similar experience via a 12 inch speaker. Like the head, users consistently praise its strong cleans, very close to the Vox sound - traditional, warm and articulate, with plenty of headroom. It's footswitchable dirty channel, along with an optional boost switch, takes you firmly into classic rock territory with all the snarl you need for those mix cutting riffs and licks. The three band EQ provides a good tone shaping palette, along with the channel independent volumes, Presence and Boost controls. Another unique feature for the V22 is an effects loop, allowing you to add your own chain of pedals in the optimum position. Given its power and larger speaker, it's understandably the most expensive pick of the five (just shy of $400), but if you're not bothered about the sophisticated array of on board effects with the X2 and just want organic, classic tube tones with an output loud enough for small - mid size gigs, the Bugera is a leader in its price range.